YouTube is so much more than just watching trending, meme-worthy videos. The video sharing website is also a platform for creators to share their own original content. Once these creators build a large and loyal enough following for their content, YouTube allows them to monetize their videos. Creators essentially earn money from YouTube premium subscribers who happen to watch their content and by allowing YouTube to run ads during their videos. 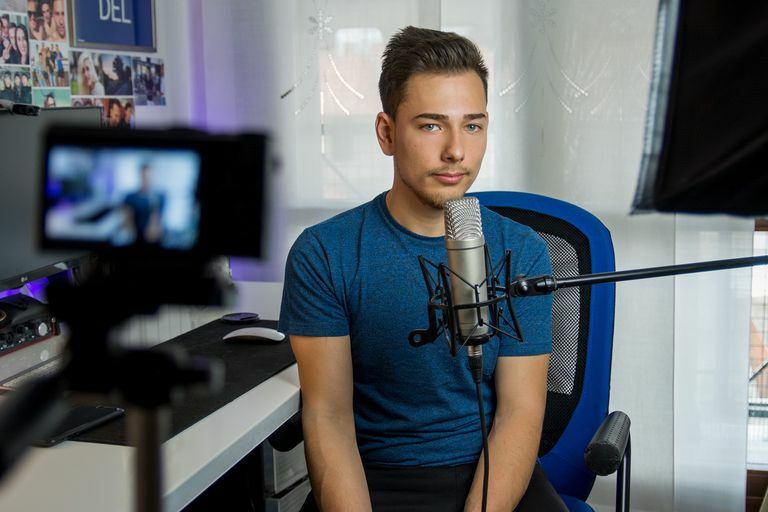 If you're a creator (or just thinking about becoming one), read on to learn more about how to make money on YouTube. How Does YouTube Pay Its Content Creators? YouTube pays its content creators through its YouTube Partner Program (YPP). Being a member of this program is what allows you, as a creator, to monetize your videos through running ads and receiving revenue from YouTube Premium subscribers who watch your videos. You'll need an approved Google AdSense account. Your channel must have more than 1,000 subscribers. Your channel must have more than 4,000 watch hours that occurred within the last year. Watch hours (or your total watch time) is the total amount of time people have spent actually watching your videos. Your content must align with YPP policies, which include YouTube's Community Guidelines, Terms of Service, and Google AdSense policies. To monetize your videos, your content should follow YouTube's Advertiser-friendly guidelines. YouTube Partner Program must be available in your country. Once you meet these requirements and are accepted into the partner program, you'll be given the ability to monetize your videos. You'll also have access to the YouTube Creator Support team, who will help you deal with creator issues such as copyright or issues related to the Community Guidelines. While all content published on YouTube must follow the YouTube Community Guidelines, this is especially important for those who want to monetize their content, as you can lose access to the YouTube Partner Program if your videos violate those guidelines. It's important your channel's content follows YouTube's Community Guidelines. A more detailed description of them can be found here. Not meeting YouTube's copyright and fair use requirements will also result in losing access to YPP. With respect to copyright and fair use, YouTube requires you to have all the rights to the content you post and intend to monetize. If, for some reason, your videos contain third-party content, the use of that content should be covered under fair use. To optimize your use of the YouTube Partner Program, your best bet is to start with following its Advertiser-friendly content guidelines. The point of the Advertiser-friendly content guidelines is to help guide you to create the kind of content YouTube's advertisers would want to run their ads on. Tips for creating the sort of content advertisers would want. Instructions for how to turn off ads for individual videos that are not advertiser-friendly. A list of content types that aren't considered advertiser-friendly. If you don't already have a Google account, you'll need to sign up for one to set up your YouTube account. Read our YouTube Sign-Up guide to get started. Once you've created and posted your own videos and started to build an audience for them, you can sign up to receive YouTube payments. To sign up to receive payments, you'll need to apply for the YouTube Partner Program. Applying to the YouTube Partner Program is a multi-step process and it can take up to a month to get approved, depending on whether or not you've reached the subscriber count and watch hour requirements either at the time you applied or afterwards. If you didn't meet those requirements at the time you applied, your application won't be reviewed until you do. The application involves the following stages: agreeing to the YouTube Partner Program terms, signing up for Google AdSense, setting your monetization preferences, and getting reviewed. Select your account profile from the top right corner of YouTube's website. Select either Creator Studio or YouTube Studio. On the left side, select Settings. Under Account, select View additional features. The next screen should be called "Monetization" and it should display all four of the aforementioned steps required to join the partnership program. The first highlighted step on this page is "Read and agree to the YouTube Partner Program terms." Select Start to finish this step. Read the YPP terms and select each of the three statements below with a checkmark. Select I accept. Get reviewed after reaching 4,000 watch hours in the previous 12 months and 1,000 subscribers. As you complete the next three steps, select Start for each step to complete them. Follow the on-screen prompts to finish each step and your application. Being a member of YPP doesn't automatically entitle you to these methods, however. You still have to meet certain eligibility requirements for each one.